Iridium Spa, a timeless spa journey through modern, classically influenced aesthetics and boutique style, with result-orientated treatments that will elegantly leave you feeling pampered, relaxed and completely balanced. Located on the 38th floor, Iridium Spa is currently the city's highest spa, boasting sweeping views of the stunning Cotai Strip. Begin your journey to rejuvenation the moment you enter this tranquil space, with a breath of Iridium's signature scents of Violet and Iris enveloping your senses. 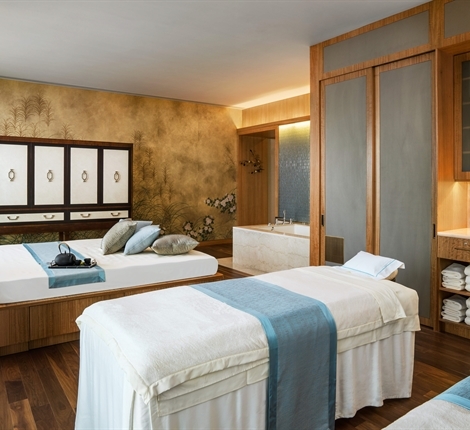 Each spa treatment begins with a welcome ritual that prepares you for your treatment, allowing you time to begin relaxing and focusing on yourself. 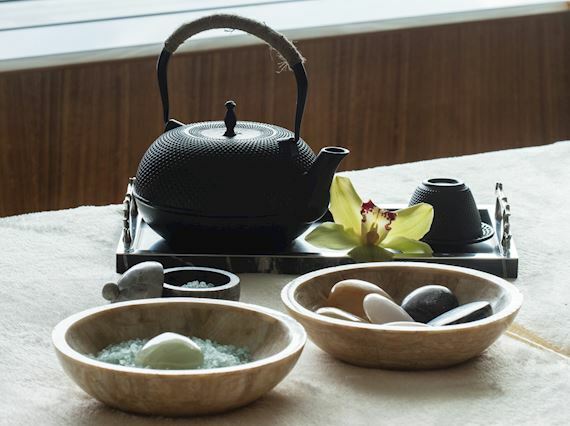 A signature tea is served, whilst your feet soak in a water ritual that is guaranteed to start easing off your stressors. 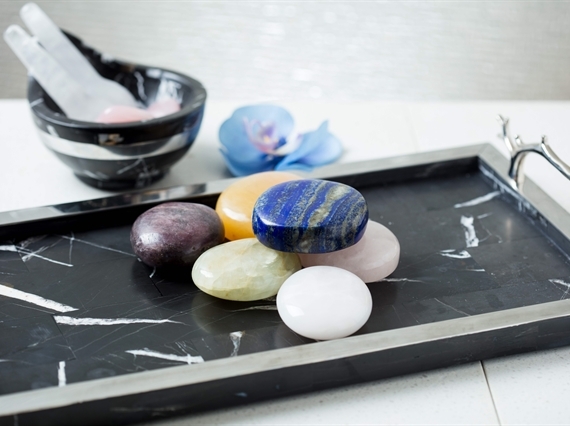 Whilst the therapist performs this ritual, they will introduce your treatment to you and allow you to infuse with your signature gemstone and align your breathing before the treatment begins. 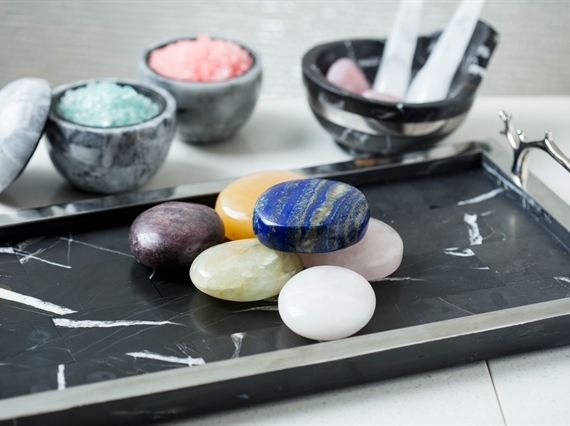 A unique concept specific to Iridium Spa Macao, allowing you to enhance your spa experience with your own personalized signature gemstone. A digital questionnaire completed to identify you body's needs for that specific day. Based on this, you will discover your signature gemstone which will aid you mind body and soul to be realigned leaving you refreshed and energized after each of your treatments. Gemstones have been used for centuries, both in treatments and as gifts. The mineral element of each stone provides an enhanced physiological response based on the mineral qualities. Gemstones have also been used on a metaphysical level associated with emotions and energy. Utilizing our signature Iridium Spa "Gemstone Questionnaire", we will be able to identify which gemstones are best suited for you and your selected treatment. Allowing you to personalize you treatment based on your specific needs.